The Womens Winter travel Pants from Jack Wolfskin combInes SoftShell Functionality and Comfort with a stylish everyday look.The fabric is sLightly Stretchy and extremely Comfortable, so these trousers are perfect for Winter sightseeIng, a stroll around the Christmas market or a post-party New Year's Day walk. 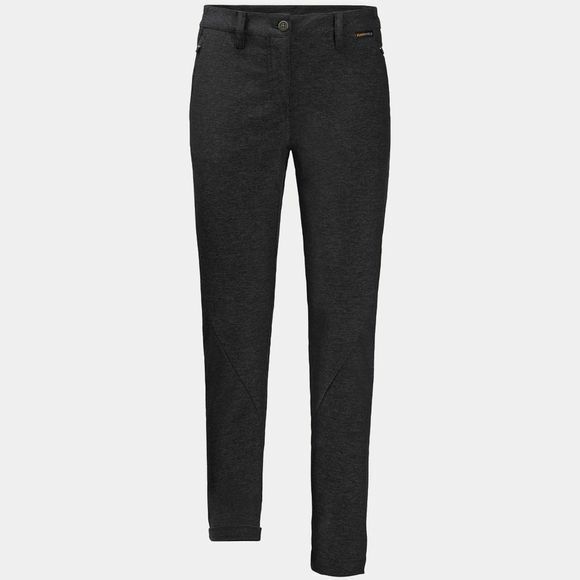 These trousers have a brushed reverse side for added Comfort and warmth.And the best bit is, the fabric has a stylish marled appearance that makes the Winter travel Pants look more like jeans than technical Outdoor trousers. So you'll blend right In with the hip crowd In the city.